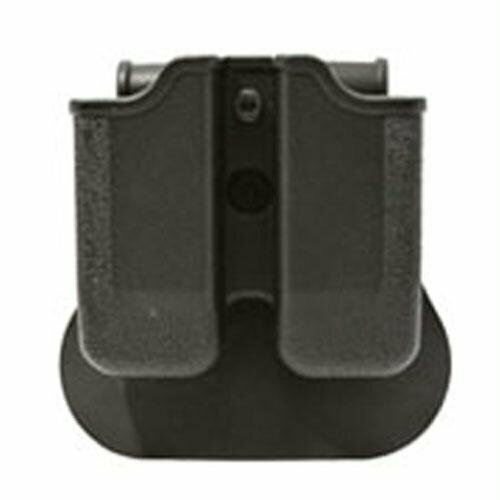 Manufactured using the same durable, black polymer as our holsters, these Double Magazine Pouches feature a paddle back and give you a comfortable, contoured fit.Features: Rotates 360 degrees for every application (small of back, cross draw, etc. ), Fully adjustable for magazine tension and cant, Adjusts with simple Allen key. Fits: Sig Sauer P229 .40 and .357, Sig Sauer P250.